Trump often complains about “catch and release,” the practice of releasing children and people seeking asylum or refugee status into the United States while they await immigration hearings. Trump is not suggesting that U.S. immigration laws should be commended for giving safe harbor to the huddled masses, but rather that it’s “ridiculous” to offer refugees and children this recourse, since no other country does so. A record 67.75 million people worldwide were displaced from their homes as of the end of 2016, including 36.6 million people who were displaced from their homes but remained within their countries, according to the United Nations High Commissioner for Refugees. The United States had 815,608 refugees and asylees from other countries at the end of 2016, according to UNHCR figures. As we’ve reported, with some exceptions, catch and release in the United States applies only to people seeking asylum or refugee status and to unaccompanied children from noncontiguous countries. (Canada and Mexico thus are excluded, and anyone from those countries can be immediately sent back if caught.) The catch-and-release debate primarily revolves around the waves of immigrants fleeing violence and crime in El Salvador, Guatemala and Honduras. Trump said “thousands” of immigration judges are hearing, or being drafted to hear, these cases. In fact, 334 such judges were hearing cases in 60 immigration courts across the country as of mid-April, according to congressional testimony from James McHenry, the director of the Executive Office for Immigration Review in the Department of Justice. Trump has directed Attorney General Jeff Sessions to “allocate all legally available resources to immediately assign immigration judges to immigration detention facilities,” according to an executive order issued in January. However, barring extraordinary circumstances, it’s not likely that “thousands” of immigration judges will be hearing these cases during Trump’s administration. These judges and their support staff must be funded. Their offices would require physical space. A retirement boom is subtracting steadily from their ranks. “I believe the budget is accounting to try to add at least 100 judges,” which theoretically would raise the total number to 430 or so, said Judge A. Ashley Tabaddor, president of the National Association of Immigration Judges. However, “judges are retiring at an unprecedented rate, and frankly, we’re not given those numbers,” she said. The Justice Department did not respond to our request for comment. An administration official emphasized that there’s an effort underway to hire more judges, as Trump said in April. “With many new judges being sworn in since the president took office, it reinforces the administration’s goals of reducing the massive backlog in the U.S. immigration courts,” the official said. For comparison, the U.S. judicial branch has nearly 1,300 sitting federal judges, according to a spokeswoman for the Administrative Office of the U.S. Courts and data from the Federal Judicial Center. This includes all Article III judges who sit in the district courts, the courts of appeal, the Court of International Trade and the Supreme Court. Immigration judges are not counted toward this total, since they work in the executive branch, inside the Justice Department. But the point is that all the Article III judges, hearing all sorts of federal cases, at all the different levels, only number at 1,300 or so — not in the thousands. Adding in immigration judges only gets you to 1,630 or so (also not in the thousands). We consulted several international nongovernmental organizations that work in this area and did not identify any other country where a judge makes the initial decision to admit or deny entry to people seeking asylum or refugee status. Looking at the situation under this lens, and leaving aside the word “judge” for a minute, we found that the U.S. system is remarkably similar to those in many European nations, and experts said the same process is followed by countries in other parts of the world. Like the United States, Belgium, Britain, Croatia, France, Germany, Greece, Hungary, Italy, Portugal, Romania, Serbia, Slovenia, Sweden and Switzerland all have executive branch officers who are set up to be free from political influence evaluating requests for refugee status or asylum in the first instance, according to a database maintained by the European Program for Integration and Migration. As in the United States, those determinations can be appealed. The same is true for many countries in other continents, said Alison Parker, managing director of the U.S. program at Human Rights Watch. Denise Bell, a researcher for refugee and migrant rights at Amnesty International, said the United States has different procedures to determine who is a refugee and an asylum-seeker but that both kinds of immigrants must meet the same definition of a “refugee” under the Immigration and Nationality Act of 1965. 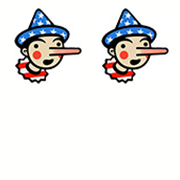 We were on the fence between Two and Three Pinocchios for these claims, but we settled on Two. Here’s our reasoning: Trump inflated the number of U.S. immigration judges hearing cases in one instance by saying “thousands” when it was only 334 as of mid-April, but in another instance, he said he was “trying” to install thousands of judges. Implausible as that goal may be, we’re not here to play gotcha. Trump said no other country in the world has judges hearing these cases, and we couldn’t find any. But focusing on the word “judge” misses the forest for the trees. Plenty of countries have independent officials in the executive branch deciding who is and isn’t a refugee or an asylee. At its core, this is what the United States does, too. Such nuances may have escaped Trump, but the immigration judges in the executive branch are there to help the president carry out his own responsibility over immigration matters. Even if the judges go away, the hard decisions remain. "Our immigration laws are a disgrace. … And just to show how ridiculous — we have judges. We have thousands of judges. Do you think other countries have judges? We give them, like, trials."